Published: Feb 27, 2016 to ? Long ago, the God Aigis sealed away the devils that caused havoc in the human realm. Now many thousands of years later the Demon God, Tiamat, has come to the human world seeking to destroy all humans using the very devils that Aigis had sealed away so long ago. One of the first to fall was the imperial capital where their prince, who is descended from heroes, had no choice but to run away and watch as his homeland burned. Now he must do what he can to survive Tiamat's onslaught and recruit allies in order to take back his kingdom. Will he live to see the day his kingdom is free of Tiamat's hands?! Sennen Sensou Aigis: Eiyuu no Kizuna is based on the browser tower defence game, Sennen Sensou Aigis. Sennen Sensou is a rather generic story, and I realized this right from the beginning. As of right now Sennen Sensou is, and will likely continue in being, a very typical and predictable fantasy adventure manga. This is very disappointing because I think this story really has some things going for it that a lot of these other fantasy stories don’t have. The demons that the main heroes are fighting against are very interesting. The character designs are also very fun and creative with bright colors in a medieval setting, which is a nice contrast. However, the characters are flat as paper. Most of them don’t have any defining characteristics and I could describe each of them just as an archetype: Ouji is the hero, Lulu is the loli, Anna’s the ‘main girl’, and so on. The only character I would consider remotely interesting is the blacksmith girl, and even she doesn’t break the usual loli girl conventions. In terms of the story, nothing is very dramatic or exciting. The character’s long term goals are very shallow, making any subplots boring. The overarching war plot and action is only good when none of the melodrama from the subplot seeps in. 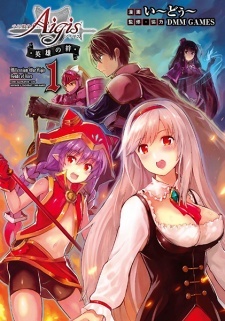 Overall, Sennen Sensou is your typical shonen fantasy story. I would recommend Deltora Quest if you want something better.